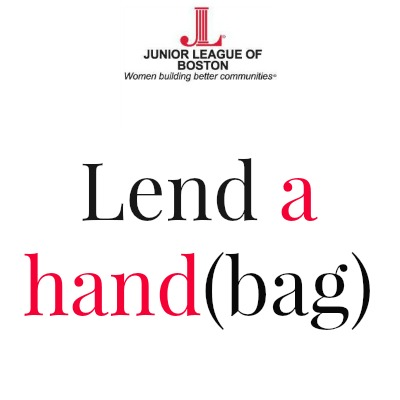 Warming Hearts this Winter and Giving Back Beyond This Season - The Junior League of Boston, Inc.
Jen Dorman transferred to the Junior League of Boston from Buffalo, NY in 2010 and currently tweets and posts about JL Boston as our social media manager. In a city like Boston –where we see hot summers, cold winters and everything in between – being prepared for what the weather may bring each day takes a big closet and the money to fill it. Many Junior League of Boston members spend their volunteer time at Dress for Success, where they help other Boston women who are entering the work force select professional clothing for interviews and their careers. Interacting directly with them, members share knowledge and tips that go beyond what to wear to work. With many of our members working in a business setting during the day and volunteering their time on nights and weekends, JL Boston members are glad to give back and share knowledge from our professional lives. Beyond helping job seekers learn what to wear and maybe even what to say to a new boss, we look for more ways to give back. Last spring, JL Boston led a handbag drive benefiting Dress for Success. Members donated purses, briefcases, and more. These items were collected and offered to the same Boston women we serve on a regular basis. On the heels of our successful handbag drive, inspired members of JL Boston organized a collection of active clothing for kids, which benefited the Germaine Lawrence Run Club, our project serving a local organization for teens in crisis. We donated items including T-shirts, gym shorts, sneakers, and more for girls ages 12 to 18. Shortly after, we organized a drive of new women’s socks for Operation Sock Hop. Last month we donated these items to help Friends of Boston’s Homeless. Donate coats at local Eddie Bauer retail stores, such as the one in Boston’s Downtown Crossing area. They are partnering with One Warm Coat, a nonprofit that will be supplying the donated garments to people who need warmth from the elements. Bring unwanted clothing from any brand regardless of the condition to nearby H&M stores, including the Back Bay location near JL Boston headquarters. The clothing will be recycled, re-worn, or reused. Local dry cleaner Dependable Cleaners welcomes clothing donations, which will benefit organizations including Dress for Success, JL Boston’s community partner. Copley Place has a donation bin for gently worn clothing, which will be resold to benefit charitable causes through Fashion Project. Bring your donations of near new or great condition women’s clothing, shoes, handbags and accessories from brands such as Free People, Tory Burch and Prada (see the complete list of qualifying brands is listed on Fashion Project’s ‘Qualifying Brands List’) by November 10, 2014 or request a donation bag to be mailed to you for free one online, and mail it back to them with a prepaid shipping label they’ll provide to you).